Cosponsors the Marine Technology Society (MTS) and the IEEE Oceanic Engineering Society (OES) jointly hosted the OCEANS '17 MTS/IEEE Aberdeen from June 19-22, 2017 in Aberdeen, Scotland. 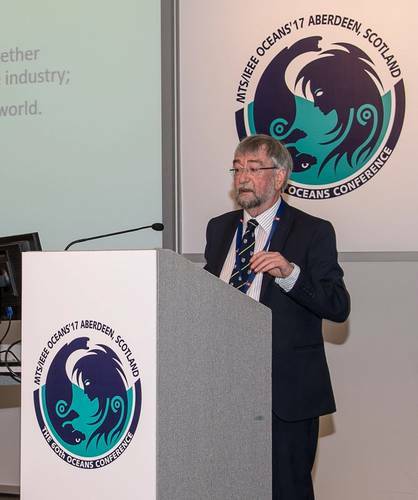 The event, held at the Aberdeen Exhibition and Conference Centre (AECC), marked the 60th edition of the global ocean engineering and marine technology forum. “The overall conference was a great example of local Scottish marine technology, and, at the same time, brought to Aberdeen marine science and technology experts from around the globe,” said Professor John Watson, Chair for OCEANS Aberdeen. More than 25 countries were represented at the four-day conference by 775 attendees. OCEANS Aberdeen featured more than 43 exhibitors, including local companies and exhibitors from as far away as Japan. During the conference more than 480 marine technology papers were presented on subjects ranging from subsea engineering and operations, optical sensing, imaging and instrumentation, fisheries and aquaculture, to exciting cutting edge technologies like marine renewable energy, and unmanned underwater vehicles in defense applications. The Plenary speakers at the 60th Anniversary of OCEANS included: Professor Dame Anne Glover, University of Aberdeen; Dr. Gareth Davies, Aquatera; Dr. Stef Kapusniak, SMD and Dr. Eric Delory, Plocan. A robust Student Poster Competition (SPC) was also part of the OCEANS Aberdeen conference. 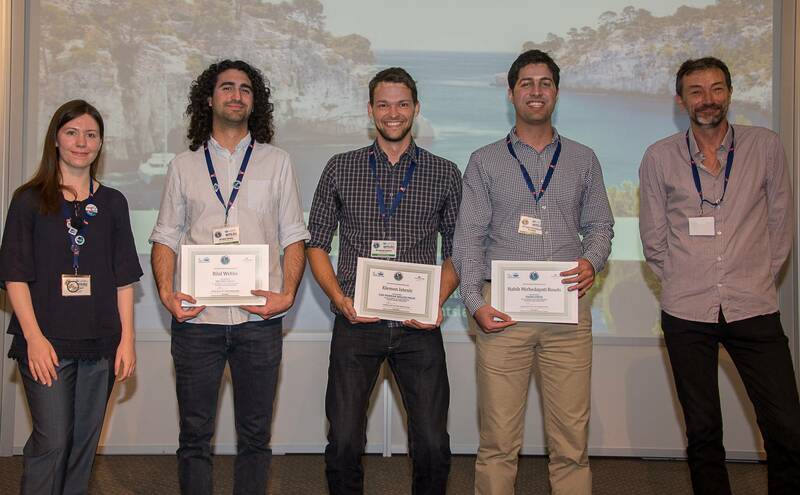 The winners of this year’s competition were Klemen Istenic from the University of Girona (First Place), Bilal Wehbe from the DFKI Robotics Innovation Center (Second Place) and Habib Mirhedayati Rouds from Dalhousie University (Third Place). The winners of the SPC receive $3,000, $2,000 and $1,000 prizes, respectively, and all 20 competitors’ travel expenses are paid for with funding from competition sponsors U.S. Office of Naval Research (ONR), MTS and OES.